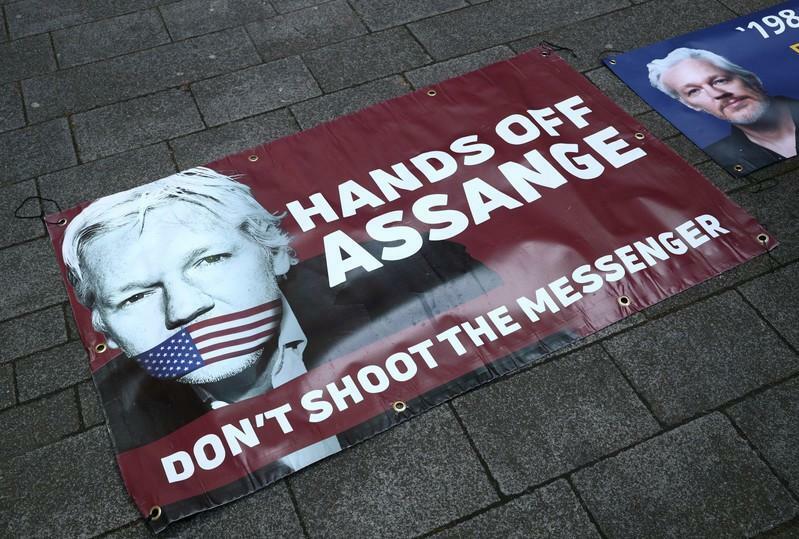 By Guy Faulconbridge, Kate Holton and Costas Pitas LONDON (Reuters) - British police dragged WikiLeaks founder Julian Assange out of Ecuador's embassy on Thursday after his seven-year asylum was revoked, paving the way for his extradition to the United States for one of the biggest ever leaks of classified information. Hours after the frail-looking Assange, with white hair and a long beard, was carried head-first by at least seven men out of the London embassy and into a waiting police van, U.S. officials announced he had been charged with conspiracy to commit computer intrusion. Police said they arrested Assange, 47, after being invited into the embassy following the Ecuadorean government's withdrawal of asylum. He took refuge there in 2012 to avoid extradition to Sweden over a sexual assault investigation that was later dropped. Ecuador suspended Julian Assange's citizenship and accused him and others at WikiLeaks of collaborating in attempts to destabilise the Andean nation's government, after years of offering him shelter.